WIRSPA is managed by a Board of Directors that consists of the head of each of the national rum producer associations. The Board of Directors act as representatives of the member associations to establish corporate management related policies and to make decisions on issues that affect its members and the region’s rum industry. Mr. Samaroo is the Executive Chairman of Demerara Distillers Limited (DDL), one of the leading rum producers of the Caribbean and the home of El Dorado Rum, in Guyana. He has been instrumental to the development of the region’s rum industry over the last 47 years, having held several key positions at DDL, including Managing Director and Vice President, International Marketing. Mr. Samaroo also serves as Chairman of the Board of Directors of National Rums of Jamaica and Diamond Fire & General Insurance Inc. and Director of Demerara Bank Limited and the Institute of Private Enterprise Development Limited (IPED). 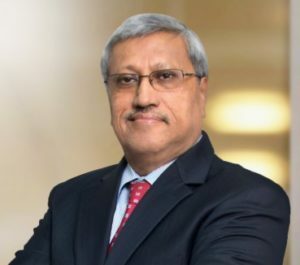 His numerous awards include the Golden Arrow of Achievement awarded by the President of Guyana in 1993, for service of an exceptionally high standard, in the field of Financial Management and Business. Managing Director, Antigua Distillery Ltd.
Chief Executive Officer, Suriname Alcoholic Beverages N.V. Managing Director, Mount Gay Distilleries Ltd.
Born in Barbados, Mr. Mayers was educated at Presentation College, San Fernando, Trinidad. On his return to Barbados, he started his working life as a junior overseer at the West India Rum Refinery Ltd in 1959, moving to James H. Inniss & Son Ltd. as a Salesman in 1962. In 1971, James H. Inniss & Son Ltd. was merged with Hanschell Larsen & Co. Ltd. to become Hanschell Inniss Ltd., which was then acquired by J.N. Goddard & Sons Ltd. in 1974. Mr. Mayers was appointed a Director and Divisional General Manager of Goddard Enterprises Ltd. in 1979 and he became involved with the Group’s efforts to widen their interests in the local and export rum trade. In 1984, he was appointed Managing Director of the West India Rum Refinery Ltd. He also served as a Director on the boards of several companies associated with Goddard Enterprises Ltd. and in 1994, he was appointed Deputy Managing Director. 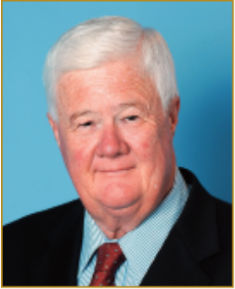 After his official retirement from Goddard Enterprises Ltd. at the end of 2000, Mr. Mayers continued to serve as a non-executive Director of the company, until early 2009. He has also served as Chairman of the Barbados Investment and Development Corporation (BIDC), a Director of the Central Bank of Barbados and the Barbados Export Promotion Corporation and Chairman of the West Indies Rum and Spirits Producers’ Association (WIRSPA). Mr. Mayers’ association with the rum industry started in the 1950s and continued until his retirement from WIRSPA in 2007. His involvement in several trade and aid agreements, namely the Caribbean Basin Initiative (CBI), Lomé Convention (Lomé IV), The Cotonou Agreement and the Canada/CARICOM Trade Agreement stands testament to his sterling contribution to the rum industry in Barbados and the region, which has benefited from his many efforts to ensure fair market access for Caribbean rum in extra-regional markets. The 70-million-euro programme of assistance from the European Union to CARIFORUM members was delivered under Mr. Mayers’ chairmanship, a programme which is arguably one of the most successful in assistance the EU has given to any region. The Government of Barbados awarded Mr. Mayers the Barbados Centennial Honour (BCH) in 2000, for his outstanding contribution to national and community life in Barbados. When the history of Authentic Caribbean Rum is written, the name of Patrick J. Mayers will no doubt be featured prominently.